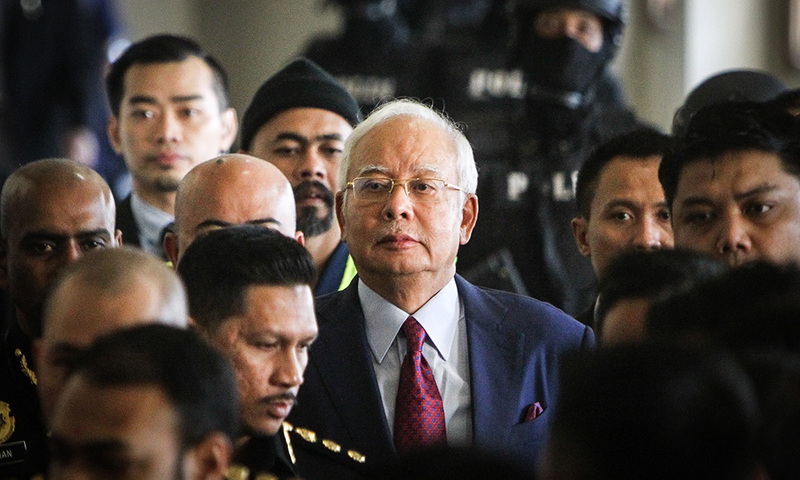 Lipdah: Former prime minister Najib Abdul Razak’s attempt at a critique of Maszlee Malik, by saying the education minister himself will be in history textbooks, has backfired. Maszlee could well end up in history books for all the right reasons, and Najib for all the wrong reasons. Newday: Najib, you state “do not exploit our children” to Mazlee. How can you say this? Were you that slacking on the job as prime minister that you didn’t notice what was happening with our education system over the last 10 years? Your government exploited children in public education, plain and simple. History was manipulated, rote learning became almost the norm, questioning the teacher or discussing an idea almost totally shut down, focus on ultra-conservative religiosity went through the roof and English was progressively driven out of the system. All the items above were carried out with a deliberate plan – to make the population subservient to the ruling elite in Umno-BN. You were training a generation of compliant rakyat. Of course, you start with the children. Wash their brains of logical independent thought. Meanwhile, the ruling elite were getting a glittering education overseas. They come back to rule, and could, because the population had no interest in the outside world. They don't understand English, they are not free to make independent opinions or actions. Freedom is not a concept the rakyat understood anyway, so freedom didn’t matter. The exploitation of children by Umno-BN has been stopped for now. What sort of despot state would we have become in five to 10 years if you had stayed in power, Najib? You didn't notice anything? The evil twist to the education plot? Were you really that slack, or were you complicit in all that wonderful evil planning? I trust Mazlee makes sure this will never happen again. Besides, Najib, there’s plenty of room for all in Malaysian history. Most say history is written by the victor. Well, you did get smashed in the 14th general election. What Pakatan Harapan have in their arsenal are provable facts. Therein lies your current conundrum with 1MDB – books are already out with these facts, and we haven't arrived at your court case yet. How many more books to come? Real history is factual history. The truth. In your case, Najib, probably way too many of those facts for your liking, but the historians when writing the victors’ history will love it. RZee: Now now, Najib, you don’t have to be mean to Maszlee. If you have nothing to do with 1MDB, as you claim, why worry? It’s your grandchildren that will read this history. Not you, as you are history. TehTarik: Najib, his wife Rosmah Mansor and 1MDB-linked individual Low Taek Jho have become so, so famous. First a bestselling book, next a Hollywood blockbuster. Now perhaps a whole chapter in history books, rubbing shoulders with Parameswara and Hang Tuah. Who knows, we could even see a play or a musical on ‘Najib and the Billion Dollar Whale’. Congratulations to the trio for putting us on the world map. Better than the billions spent by Tourism Malaysia. Anonymous 2461031491365771: There is a huge difference between Najib and Maszlee. One has achieved worldwide infamy. The other is just incompetent at solving significant education issues. Najib will be a great addition to history books of the future, while Maszlee’s bungling is just good for our daily amusement. Rku020: Mazlee shouldn’t waste time politicking, and focus on improving the education system. There are so many things to fix. Go on a tour, learn from the best education systems around the world – even if it’s in Israel – and adapt and adopt it here. Royal Salute 21Y: Maszlee may not be perfect, but at least he is trying to do what's right – unlike your administration, where even underprivileged children in Sarawak were allegedly cheated. How low can one go? How shameless can one be? I know you are reading this, Najib, given that you have been jobless since May 10, and probably subscribe to Malaysiakini. Cogito Ergo Sum: Najib, you have lost all legitimacy and with it the right to critique anyone. You, a former premier that brought infamy to Malaysia. Leave Harapan be and concentrate on your defence. JBKing: For the first time, Mazlee seems to actually be doing something. Yes, history has it that the Umno-BN shaped Malaysia since Merdeka. And so, its rise and fall is very relevant to our history. Salvage Malaysia: There’s no need to include 1MDB in history textbooks. Otherwise, we may as well include past scandals, like the Bank Negara forex and Bumiputra Malaysia Finance (BMF) scandals. Just a Malaysian: 1MDB should be made into a case study for all incoming civil servants and public administration graduates. We should never allow our country to be plundered so mercilessly in name of defending race and religion. Future generations should never allow racial and religious hypocrites to set national narratives and define the direction of this country. On the Other Hand: Najib borrowed a satirical piece from Tapir Times and is now trying to claim it as his own. Nothing is safe. He steals everything, even jokes. Anonymous_1530697658: Both will end up in history books. But only one perhaps in jail.